GE's brand story is titled "SPOT THE DIFFERENCE. All assets are created equal. Until they aren't." 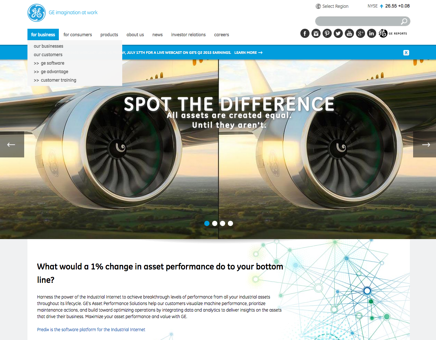 Using a clever, surrealist inspired pairing of side-by-side images that immediately engage the viewer to search for the difference, the user then naturally scrolls down and learns through a series of text, graphic and video screens, what a "1% change in asset performance" will mean to one's bottom line. The implied brand promise is that GE's "Industrial Internet" technology will enable that savings. Once the case is made, they then provide the technical detail the user is ready for, along with many links to relevant content. 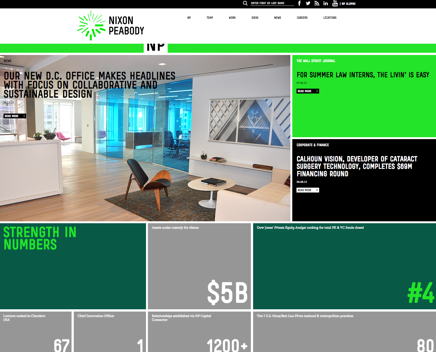 I admire Nixon Peabody for having the courage and vision to put up a site that is an outlier in the world of "Me too" legal websites. From the acid color palette to the industrial font choice to the decision to appeal to a young, changing demographic, Nixon Peabody has taken a bold approach. 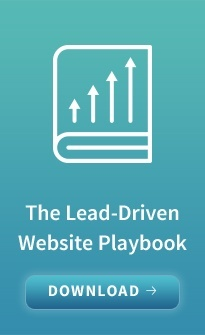 Unlike the others, this site is not a single story, but a collection of vignettes — case studies, statistics, bios and news, which together paint the picture of a vibrant, "happening" law firm on the front lines, advocating for their clients. The vignettes appear in an irregular grid on the homepage and when clicked, lead to in-depth stories, which provide a complex picture of the firm. This design gives the user control of their own experience, which works because the content is well-considered and crafted. 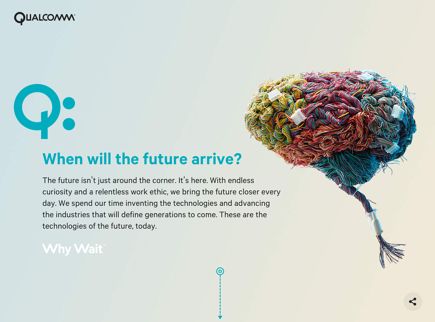 The home page of Qualcomm, a large technology company, works on both visual brand identity and brand storytelling levels. Taking the large philosophical approach to innovation — that arguably a large company can afford — Qualcomm begins by exploiting their unique styled "Q" from the logo to introduce their brand story with "Q:" as the symbol for the question, "When will the future arrive?" They proceed to answer the question and conclude with the provocative, "Why wait?" that makes one want to see the answer. Accompanying this statement is a beautifully executed sculpture of a brain made from electrical wire. The user is invited to scroll down to see how the story unfolds, which is a continuation that weaves together "Mobile Experiences, Cognitive Technology" and "The Internet of Everything." The sequence culminates in a Qualcomm-sponsored event to display how Qualcomm is using these technologies to improve the world. OK, this is a consumer site that is a good example of one of the best tools for telling brand stories — whether B2C or B2B — video. 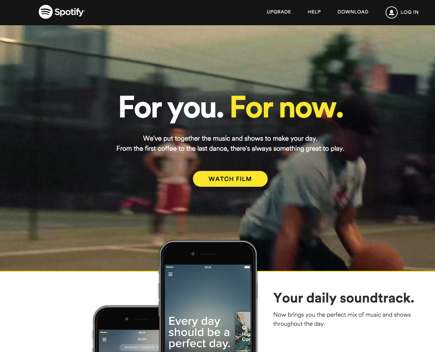 Spotify uses video to show lifestyle vignettes of how their product, i.e., your personal music library, can be created and customized to the tempo of your life. It is modern, fast moving and "visually powerful while using very few words." This should be an aspiration if not a reality for most B2B sites, which in past web generations have often been too dense. Video is becoming more and more prevalent on the web and has great advantages for SEO and tracking usage, as well as being a great storytelling medium. And as with most trends, what we see in B2C shows up in B2B not long after. The convergence of courageous clients, imaginative designers, disciplined content creators and lots of iteration is what it takes to create a compelling brand story. The five sites above are examples of these forces working in harmony, which is not as easy as it might appear. If it were easy, we wouldn't be awash in the blandness that most B2B brands accept. I hope these sites will inspire and encourage you to elevate your brand through great storytelling. 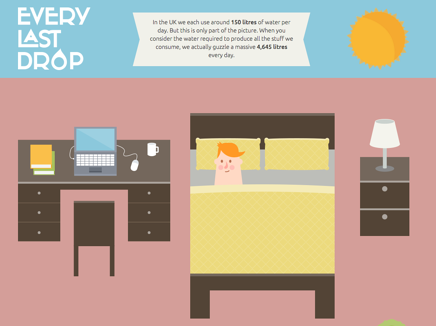 I'd love to see other examples of websites or videos that you think are great examples of brand storytelling .